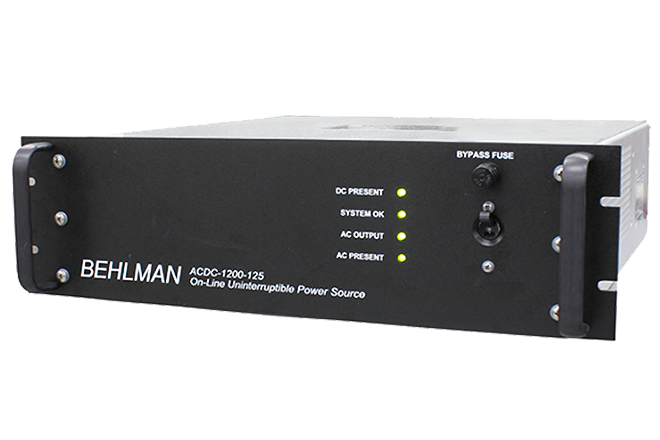 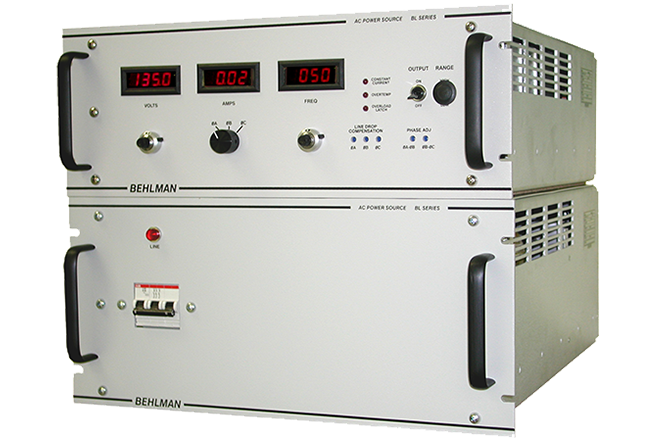 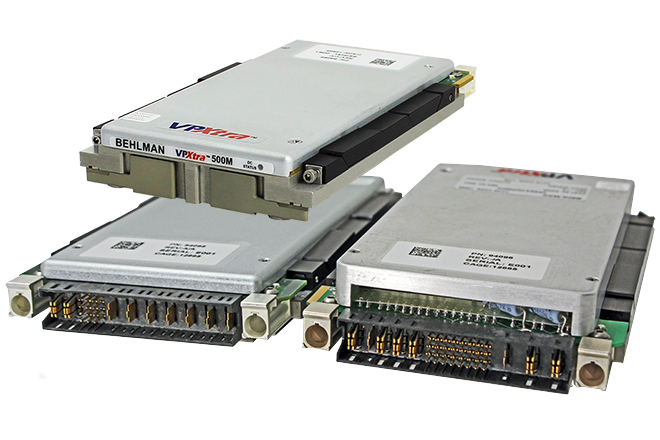 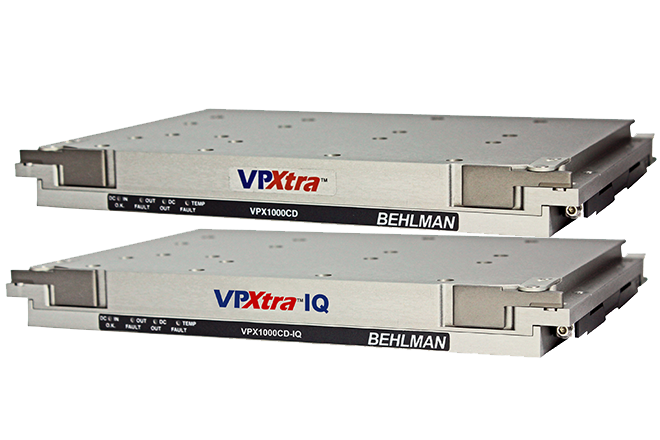 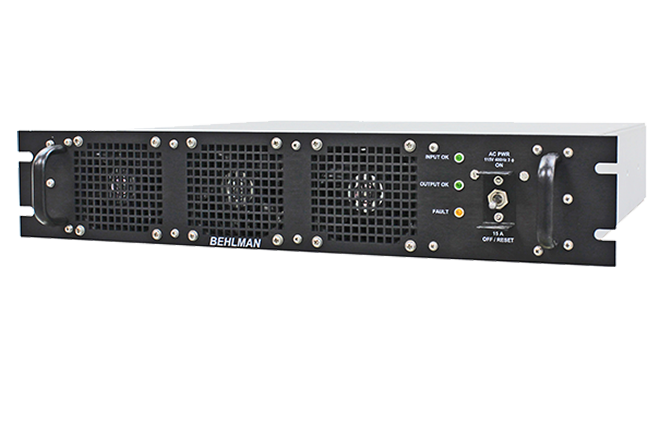 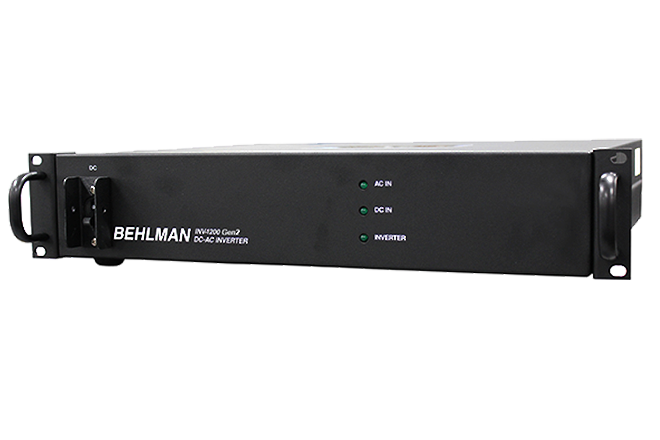 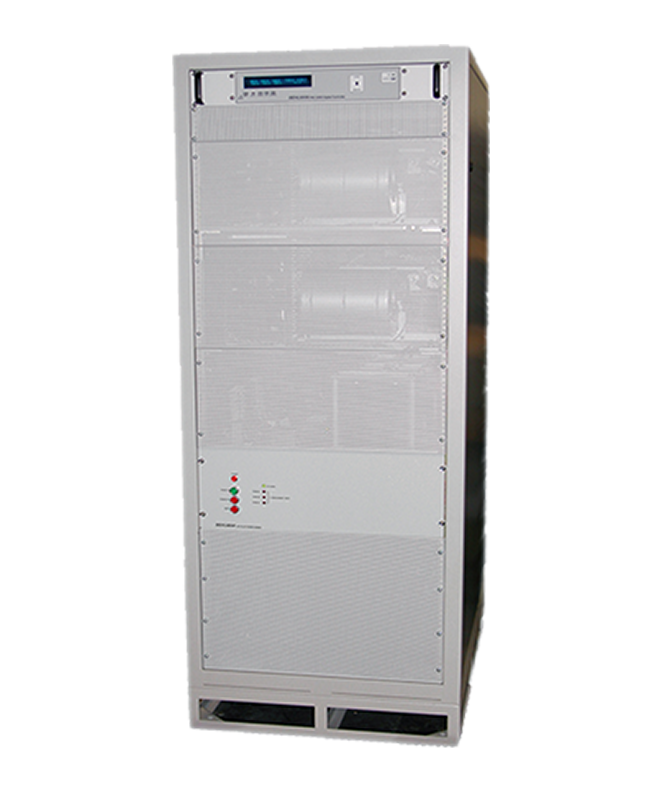 Behlman's Solid-State BL-PLUS offers greater energy efficiency, reduced downtime, and a significantly smaller footprint. 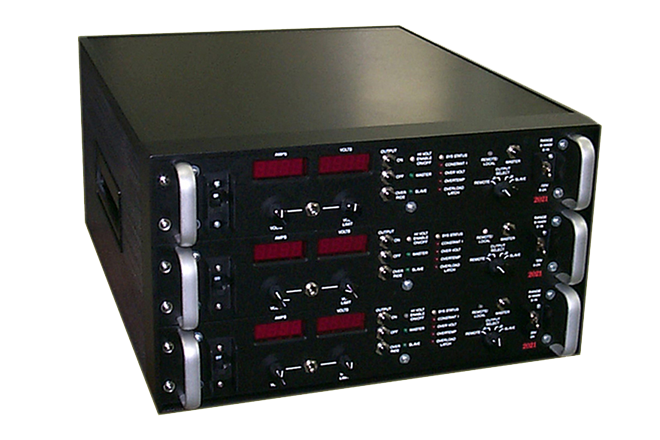 They're ideal for avionics, airborne and shipboard equipment as well as international products testing. 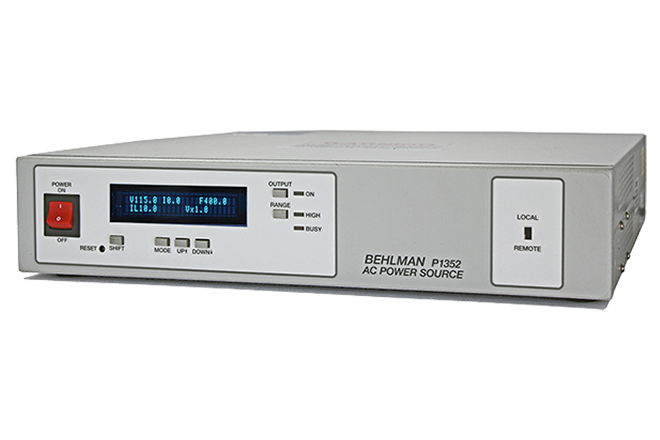 The BL-PLUS even comes with an optional computer control for Automatic Test Equipment (ATE) application. 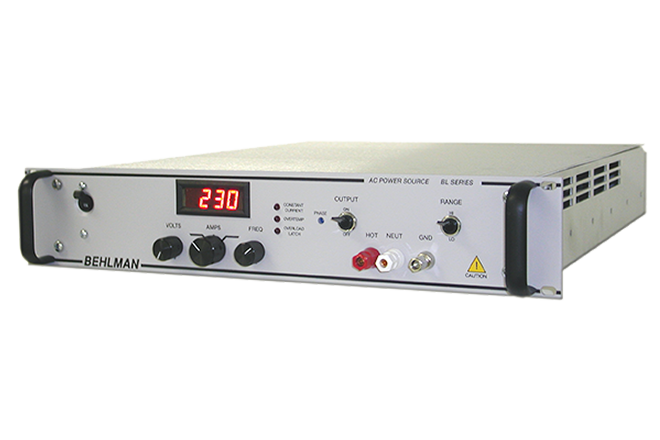 It's adjustable voltage and frequency provides maximum flexibility. 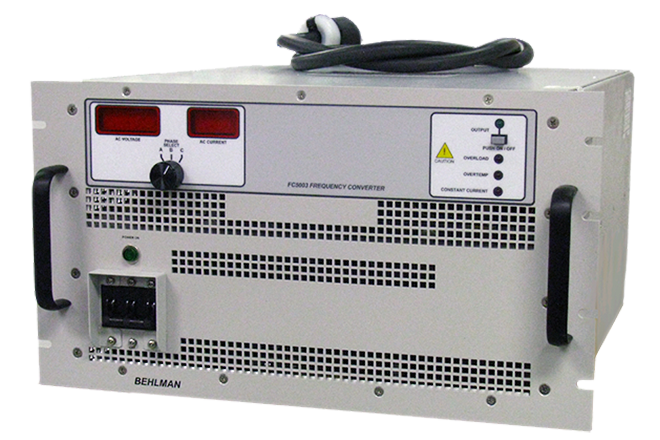 Combined with The efficiency of the BL-PLUS Series and the savings in converting from a motor generator really add up. 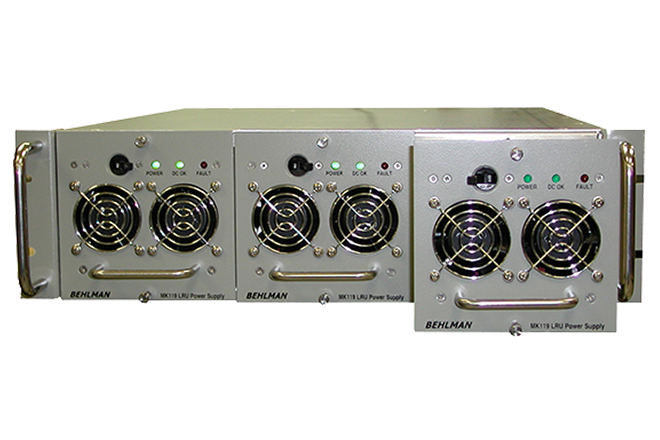 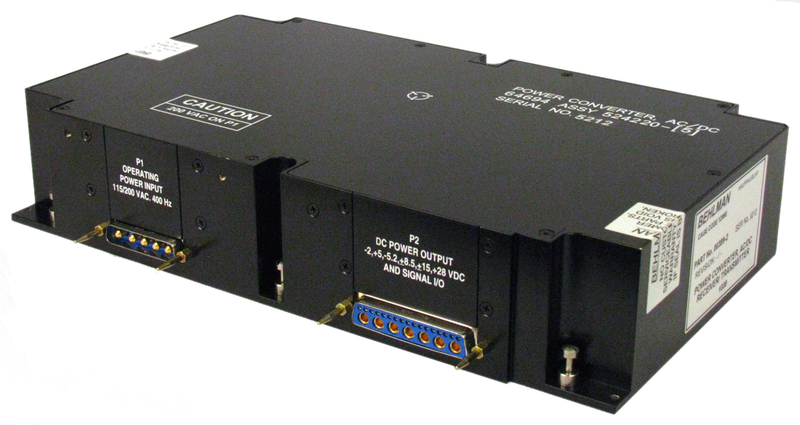 Precise Adjustable Power: Variable amplitude & frequency with performance quality of a linear and the benefit of switching technology with option "M"
Behlman’s BL Plus solid state AC power frequency converter offers greater efficiency, reduced downtime, and a significantly smaller footprint and easier installation than the motor generator it is designed to replace. 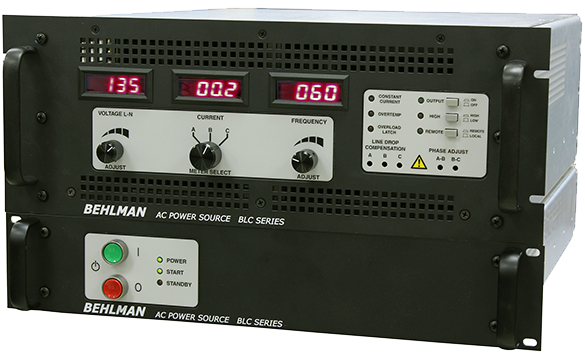 The BL Plus has all the quality features you expect from Behlman; fully adjustable voltage and frequency, low output THD, high efficiency plus excellent line and load regulation. 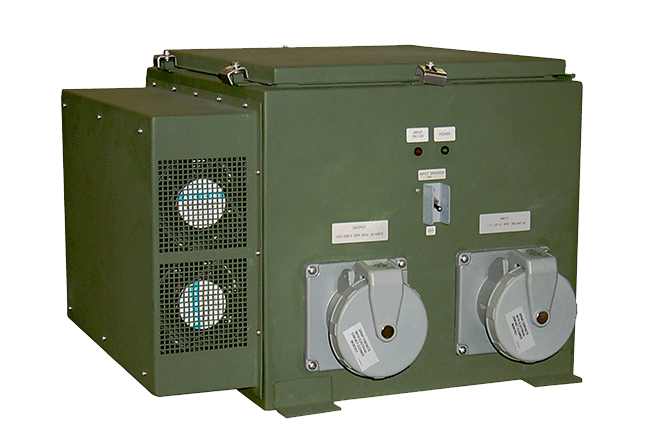 There’s also a unique overload protection system that folds-back voltage to maintain rated current without output waveform distortion. 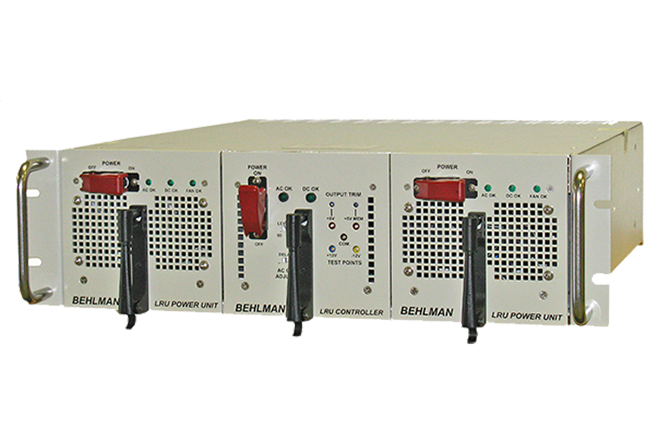 The BL Plus optional manual controller has three DMM’s for volts, frequency and current and a oscillator that has three fixed frequencies of 50 Hz, 60 Hz and 400 Hz as well as a variable frequency of 45-500 Hz. 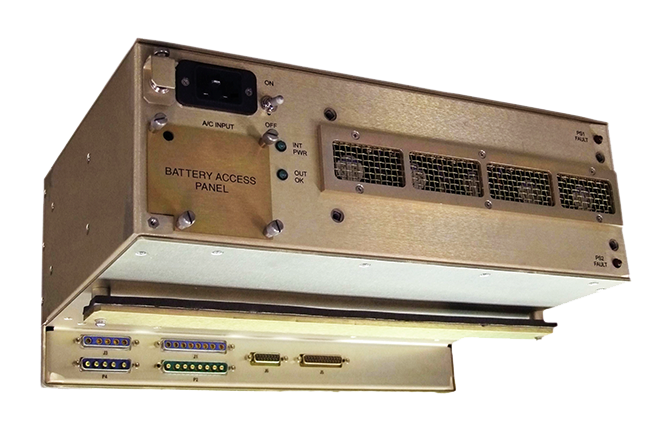 Optional analog remote control is available with the standard controller or you can opt for the Programmable Controller with RS232 interface standard or optional IEEE-488. 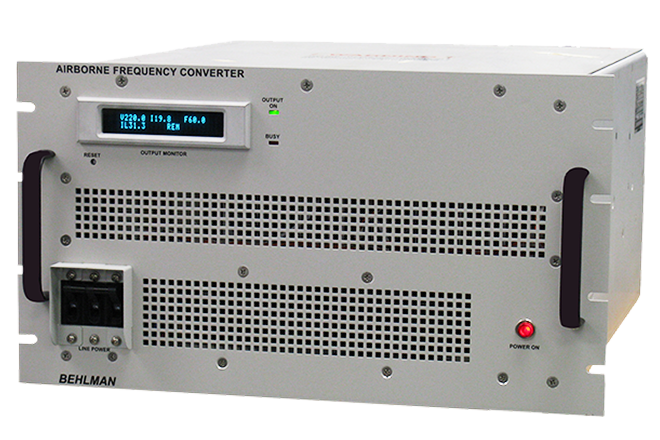 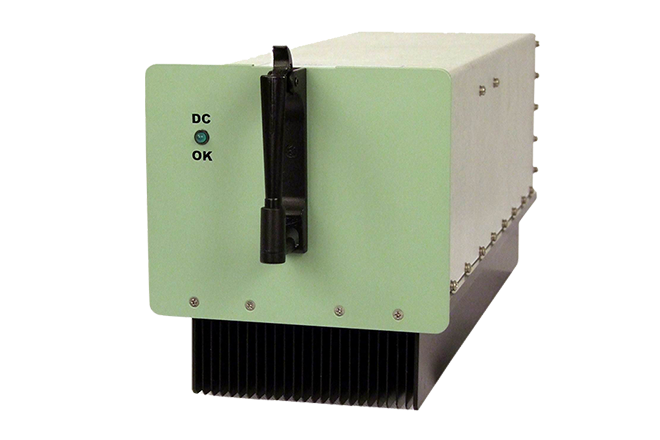 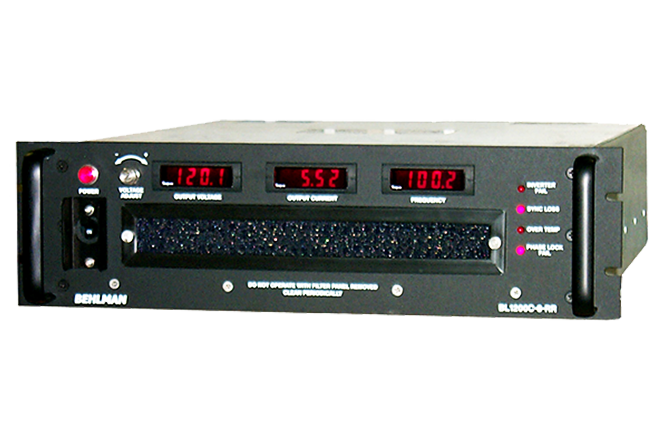 Small size, easy installation, quiet operation and high efficiency make the BL Plus ideal for industrial product testing, precision avionic test, power conversion, ATE, bulk power and motor generator replacement.